The Festo booth also features the AquaJellies – bionic, autonomous jellyfish – in a 500 gallon/1,900 liter tank. Visitors to the Win the Race To Market with Festo booth begin their tour with a stop at the company’s Preanalytical Sample Preparation demonstration for an overview of the EXCM Cartesian robot for X, Y, and Z axis positioning. The EXCM is scalable, modular, and designed for plug-and-play installation. This Cartesian robot moves vials and/or pipets on a planar X/Y axis with a repetition accuracy of + .002 inches (.05 mm). Each company will have representatives stationed at the Festo booth to discuss the functionality of their machine and value of their partnership with Festo in terms of shortening time to market, lowering engineering overhead, allowing the company to focus on core analytic competencies, and strengthening technical field support. To give equipment manufacturers an idea of the issues involved in the make-versus-buy decision for automated positioning and handling systems, Festo presents an Exhibitor Tutorial, 12:30 – 1:15 p.m. in Room 151 on Tuesday, February 7. The presenters will explore key advantages and considerations for deciding on open source automated system development, semi-customized system development, and purchase of turnkey automated platforms. The presentation focuses on liquid pipetting in order to give specific scenarios. The AquaJellies from the Festo Bionic Learning Network are artificial, autonomous jellyfish with electric drives and intelligent, adaptive mechanical systems. Developments in the Festo Bionic Learning network inspire innovations in automation. The movements of the AquaJellies simulate jellyfish undulations. Integrated communication and sensor technology plus real-time diagnostics enable coordinated, collective behavior. When batteries need to be recharged, AquaJellies autonomously and automatically swim to a charging station. The AquaJellies are a favorite attraction whenever they are presented. 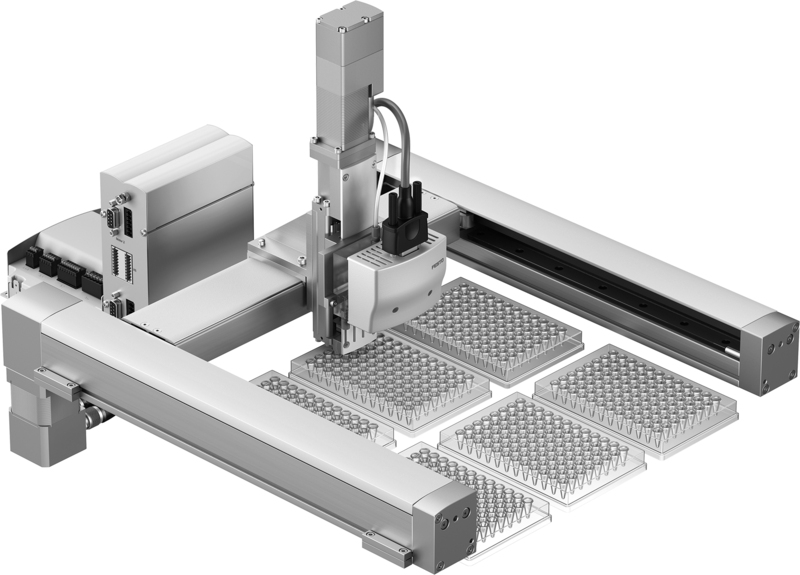 For more information on Festo’s laboratory automation solutions, call Festo at 800-993-3786 and visit the Laboratory Automation industry page on the Festo website http://www.festo.com/us.